I've detailed my disgusting struggles with winter itch in the past, and while my legs and I had reached a ceasefire agreement this past winter, I was still slathering lotion on lotion multiple times a day in order to avoid transforming into a twitching pile of dust and blowing away. But I do believe I've found the perfect lotion for getting rid of dry, winter legs forever. Just in time for spring, right? I first received Neosporin Eczema Essentials in free sample form and tossed it into my cupboard thinking I'd use it in a pinch the next time I was out of lotion but too lazy to brave the cold for the walk to the store. It was the middle of winter, the forced heat air in my apartment was dry enough to crack paint, and my legs' agony was interrupted only by the occasional cold shower followed by prolific goop application. And then one day, I ran out of my regular itchy legs lotion and broke into my sample of Neosporin. Now, I am not a high maintenance sort of person, beauty product-wise. And if I were destitute, what little exists in my "beauty" budget would be the first on the chopping block. But this lotion, I cannot and will not do without. It doesn't have a distinctive scent, the texture is thick enough that it feels substantial but not so thick that it feels like Vaseline— it absorbs quickly and relieves immediately. It didn't irritate my sensitive skin. And it lasts. Most importantly, it was so effective that I spent much of the last half of this winter not even thinking about my legs, or wanting to scratch them, or even having to worry that if I was hit by a bus or something and an ambulance had to pick me up and they had to look at my legs for some reason, they wouldn't be grossed out by how dry my skin was. I could wear shorts while working out in the gym during the winter! I could wear skirts! It's incredibly freeing to be rid of an irritation I've felt plagued with for years. I've since bought my own tube or seven of the stuff and stocked my cabinets — I can't imagine going back to anything else. 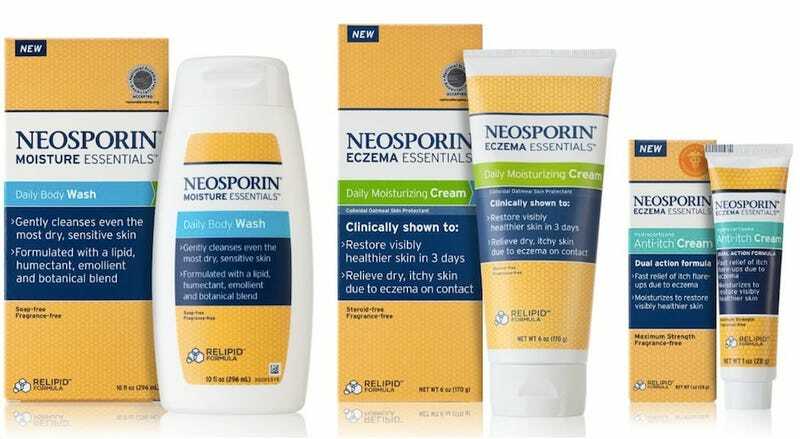 Neosporin Eczema Essentials Daily Moisturizing Cream is a product that does exactly what it says it's going to do at a reasonable price. Totally worth it. 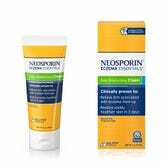 Neosporin Eczema Essentials Daily Moisturizing Cream, $11.47 for 6.4 oz Amazon.